Bruce Patch cut his teeth in the music industry — having once met the Beatles and helped to discover the famous 80s band, The Cars, in his native Boston. Once on the West Coast, Bruce turned his energies to several small labels of his own focused on classic R&B and Doo Wop artists and contemporary South Pacific music. He met his partner, artist Andrea Cleall, at a donut shop on the outskirts of Topanga Canyon, and the rest, as they say, is history. 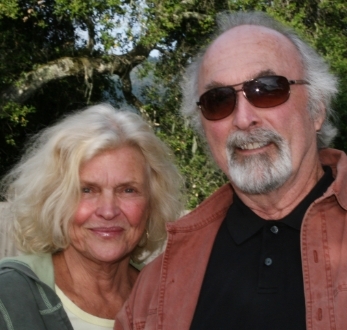 Bruce and Andrea moved to the Russian River Valley in the late 1990s, and Bruce transitioned his sales and marketing background into a successful distribution business representing small independent wineries in Sonoma County. This would lead to a passion for and knowledge of winemaking that would inspire the creation of his own wine — Wine Guerrilla. Over the course of a decade, he built the brand and won accolades for his line-up of stellar single vineyard zinfandels. Today, Bruce brings this history and experience to his most promising venture yet. Bruce Patch Wines sources the best grapes from throughout Sonoma County, including many vineyards like Clopton, Harris-Kratka and Carreras Ranch with whom Bruce has long relationships and a history of producing acclaimed wines. In addition to his trademark lush, full zinfandels, Bruce is also producing red blends and exquisite expressions of unique grapes like primitivo and malbec.